Kind of a strange title, to be thanking a cooking food host as a writer, but I promise you that it will make sense very quickly. It’s fair to say that I really don’t like competitive cooking shows, primarily for how cutthroat they can be. However, there is one I like, that even as competitive as it is, there is a certain sense of camaraderie not seen on other shows. 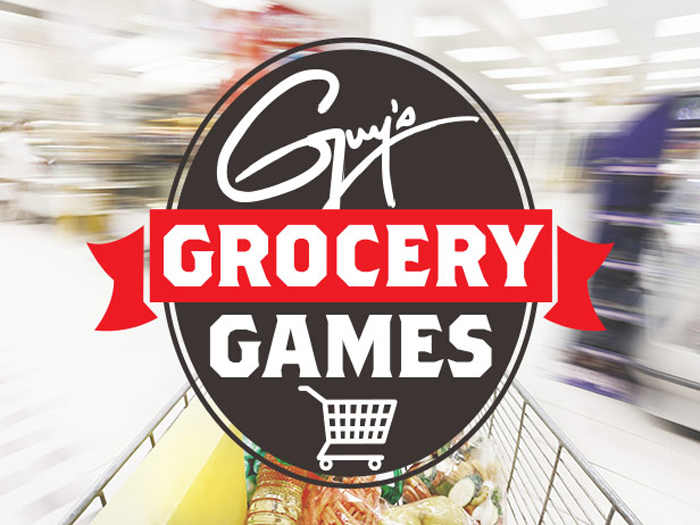 That show is Guy’s Grocery Games. 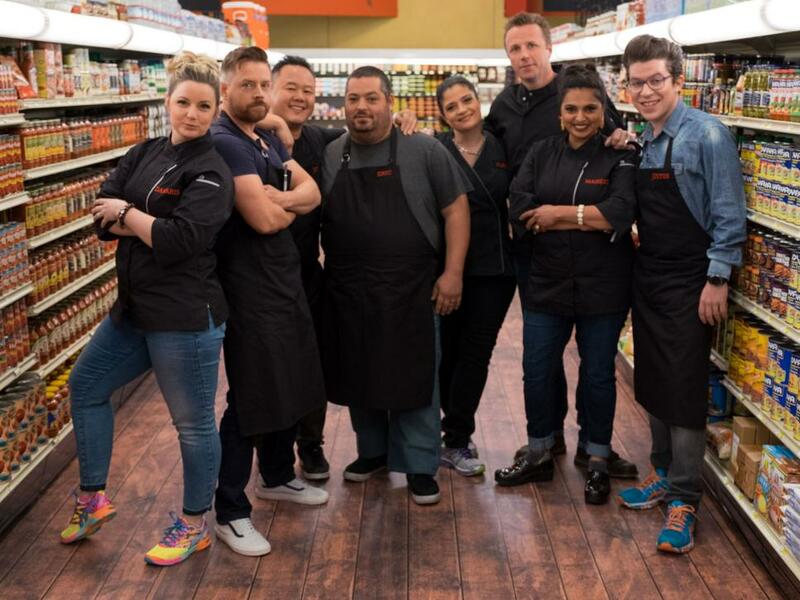 For those unfamiliar with the show, Guy brings in four chefs and has them use a supermarket (Flavortown) to get ingredients to cook with. He does provide harsh challenges, but it pushes people outside their comfort zone to create amazing dishes. I personally love this show, as I feel I can learn to enhance my cooking by watching the show, try new foods and cooking techniques. Perhaps the one thing I love is when the judges must cook on the show. Normal shows have three judges who will critique the food and eliminate one person from each round until there is only one. Often someone undercooks food or missing a staple item such as acid to their meal. Sometimes it may just come down to a tiny detail when two dishes are above and beyond. I bring this up for IWSG this month for when the judges compete against each other. It’s one thing when you have contestants come in to this show and make a mistake… it’s another thing when you have judges who have done a dozen shows (as judges) and know what is the correct way and incorrect way to do things, and still make mistakes. A few favorites are: Aarti Sequeira, Beau MacMillan, Damaris Phillips, and Alex Guarnaschelli. Still waiting for Guy to compete. Judges featured on GGG are some of the greatest chefs, including Alex Guarnaschelli who is an Iron Chef and considered by many to be the greatest chef in the world. These judges know what gets you sent home, and yet, they still make those same errors. Not all the time, but usually when a judge is sent home, it is for a silly mistake that they should have known better. When it comes to editing the work of other writers, I often catch things other’s miss. 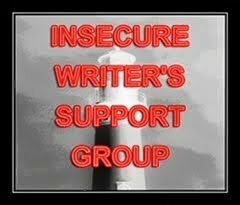 It has been met with either the writer believing I am simply wrong due to no one else saying anything, or the writer believing they won’t ever make it as a writer, that perhaps they’ve made a mistake. One of the hardest thing for us writers is to be told that we didn’t do as well as we thought. So being both an author and editor, that must mean my work is top notch, right? 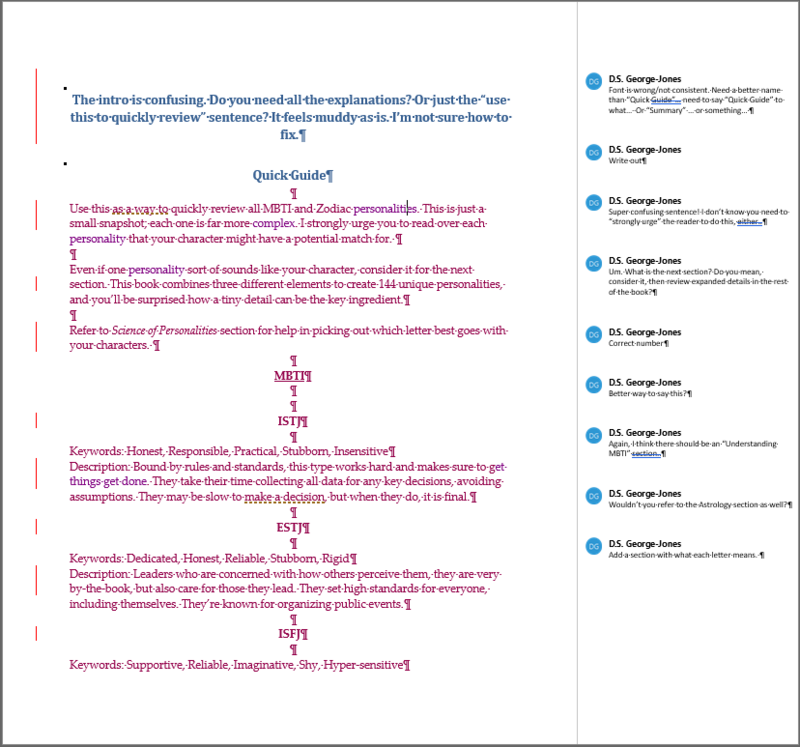 I mean, I know the rules of writing, I know what not to do… and yet, it needs work. This picture is from my editor of my last book written. From one page, I had several problems that I had to fix. There’s a reason why it is said that writers are bad editors for themselves, that we are easily blind to what we wrote, knowing what it should say and overlooking what it actually says. To me, GGG is synonymous with writing a story… we have so many obstacles and handicaps in getting a story together that it feels like Guy is spinning a wheel or picking out random letters that affect the nature in which we write our story, and it is not ever as good as it could be because of those sabotages, versus if we had nothing blocking us. And yet, in spite of that, we end up creating such wonderful stories, that yes need some tweaking to help make better. In this way, I see myself parallel to Justin Warner who says that GGG is basically finding ways to cheat at cooking in order to win the game, that you have to get out of your comfort zone and accept that you will make mistakes and not to let that hold you back from creating a masterpiece. Whatever game the proverbial Guy throws at us, we must find a way to make our readers something amazing. I have several books on the market, I know how to write, I know how to make great stories, and yet, I still make a lot of mistakes and need an editor to fix it all. So those beginning your career to those wanting to get their first book out, don’t be discouraged by what people find in your work that may be mistakes, be encouraged by them that you have the opportunity to make it better. I’m not good enough to ever be on GGG, at least not as a chef. I wouldn’t mind being a judge though for at least one episode. Speaking of Guy Fieri, at the end of this week, I will be traveling to Philadelphia (and back) via car. Along the way, I hope to stop at several restaurants featured on Diner Drive-In and Dives. I am going to Philadelphia in order to pick up stuff that I have there, including a number of books, clothing, a webcam, and microphone. The last two will be instrumental in starting my career as an instructor on Udemy. My final segue, is that while I am going to be teaching online, I have also set up a YouTube channel to discuss things that I think will be of great value to writers, though it is still in its infancy. I plan to do discussions on Worldbuilding, MBTI, general writing advice, my path to doing video rendering, and other things that I think up along the way. You can check out one of my first videos now, which is a crash course on MBTI. Yes, it’s nearly two hours long, but we are talking about a highly complex subject that I could spend 24 hours straight talking about and feel that there is more I could discuss. So thank you Guy Fieri for showing us that even top of the line professionals can make mistakes, so beginners know that having mistakes is a natural part of our development. Also thank you for helping me plan where I will likely eat on my road travel. Read the series that makes vampires a scary monster in the shadows once more, and the bravery of knights as the one weapon to stop their spread of a deadly disease. This site is a great achievement for me, but due to being unable to work, I may not be able to keep this site running. With your help, I might be able to. I need $125 by October 30th, 2017. Anything you can give will help. The success of this site has been a dream come true. It is my hope for this to remain on the internet indefinitely, but due to my disability, my funds will be short. I need your help to keep this site running. 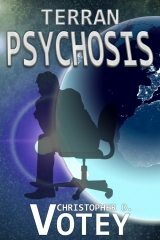 About a man who thinks he’s an alien and a psychiatrist to unlock the truth. We are a two-person team that offers you affordable editing services that covers the content of the story itself, how it flows, and the language and grammar. More than just editing, we also offer a one-stop shop for all your additional needs to become an author, including ebook formatting, cover design, book blurbs, synopsis, biography, and flourishes. A critic is a legless man who teaches other people to run.